twin in the city: july fever. 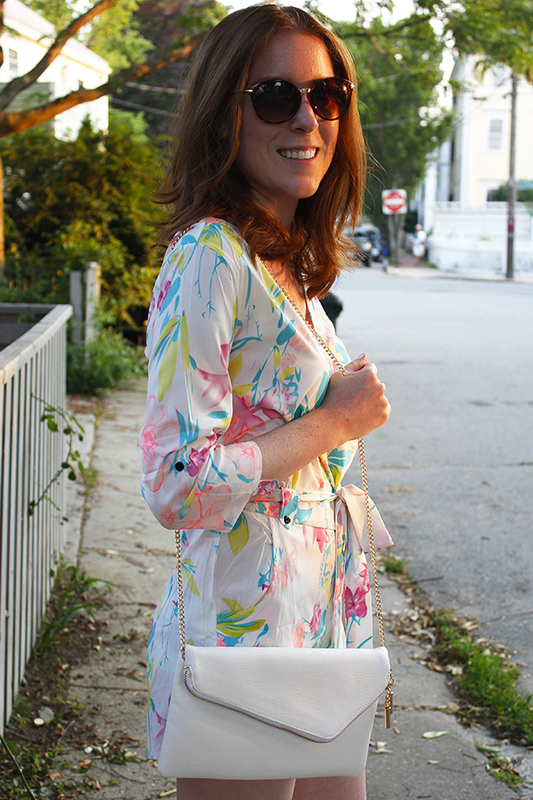 twin and i have been loving this mid-july heat, especially when it calls for a cute and colorful romper like this one! this piece from our shop is definitely a current fave, and an easy silhouette that's undeniably flattering. we are so excited to share a number of new pieces at our local annual street fair in just a few weeks, yankee homecoming in newburyport ma! so much prep and planning has gone into this, and we know it'll be a busy and extremely exciting time for our brand new business. 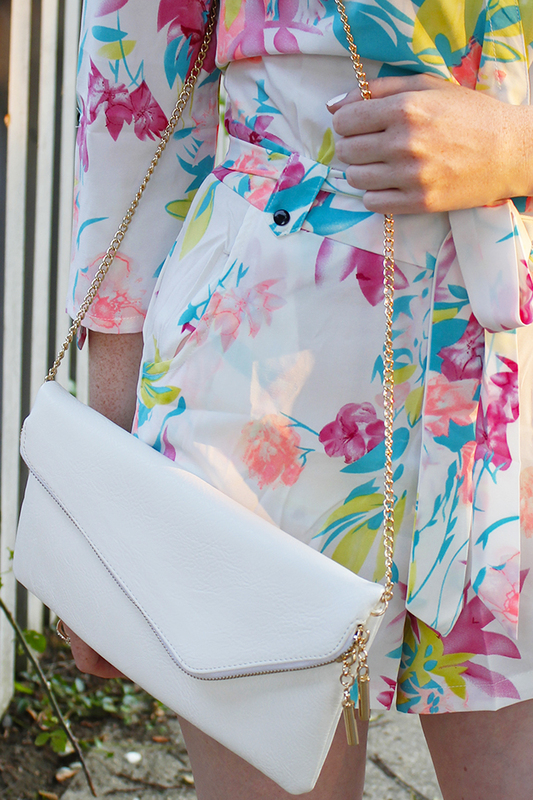 you can shop this romper (and all accessories!) over at golden closet. That's a lovely floral print and nice footwear.